Today is Day 5 of this fabulous hop of all things Christmas! And I am the guest designer today so I am glad you stopped by to play!! You should have arrived from our wonderful hostess Lisa. If not please start at the beginning of the hop at Honeybearz Designs. This hop will take place November 25-December 6 and the new postings each day will be up by 8 AM EST. The hop will be full of wonderful ideas and inspiration to get you well on your way to create all of those beautiful Christmas projects. This is an awesome opportunity to get a lot of your Christmas cards, and scrapbook layouts finished, home decorations completed, and be inspired to create something using a new technique. There will be a new project posted each day by all the wonderful amazing ladies in this hop. Also each day we will have a guest designer for you to visit. Lisa, our hostess, will be giving away some wonderful blog candy each day of the hop from the amazing sponsors that we have. Lisa will be posting all the winners from this hop on December 10. Every one has a chance to win including the ladies participating in the hop and even the guest designers and the sponsors. At the end of each post we will have a list of all the sponsors so all you need to do is click on their name to go to their sites and check out all the wonderful sites. We want to thank each of the sponsors for their generosity. It has been greatly appreciated. Also please leave a love note with each hop crafter and become a fan if you’re not already. 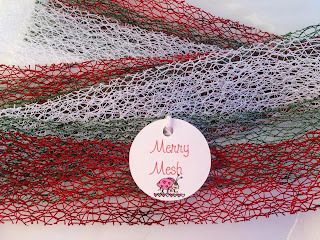 My project is a Gorgeous Deco Mesh Wreath for my front door. This is only my second attempt at making one of these and it seemed to go a lot smother the second time around! LOL! I may still add some yummy Christmas ribbons to this wreath to fill in some of the gaps but for now I just love the way it sits on my door and sparkles!! My first attempt was made earlier this summer and you can check out a tutorial here. Happy Thanksgiving! May you all enjoy a blessed day with your friends and families! And know that I am truly thankful for everyone of you in my life!! 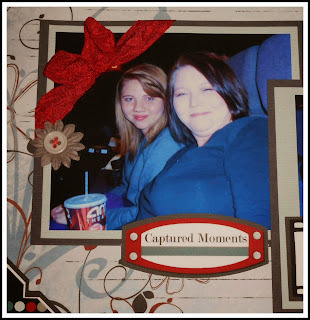 I almost forgot to announce my Harvesting Memories Blog Candy Winner. Oh my!! So here she is!!! here's what she had to say!! Great work. I love seeing these new ideas! Kren send me an email with your info so I can get those goodies in the mail!!! I had five correct answers!! Wohoo! If you guessed the Silhouette Cameo in my header than you guessed correct! I just got mine last week and decided I needed to add it to my blog. The red heart in the bottom left corner has actually been there a long time, sorry. Please send me a message Iris with your address so I can get your prize mailed out to you!! Entries are due by Saturday November 30th at 11:59 pm. Can you tell? Blog Candy!! I just finished making a new change to one of the main elements on my blog. Can you tell what I did? You have until the end of Monday to guess what change I made to my blog design. Just guess your answer below. And I will draw one winner from all the correct guesses below to win a package of rumple ribbon!! Sounds fun right? So c'mon let's go!! You have nothing to lose!! If you came from Mama Lovebug then you are on... the right path. This is a one day blog hop and we appreciate your leaving a comment for all the fantastic artists here sharing their ideas and creations. Around here Fall means time to visit Oak Glen and the apple Orchards as well as the Pumpkin patch. We love taking the day trip out to the country and taking in the gorgeous views. 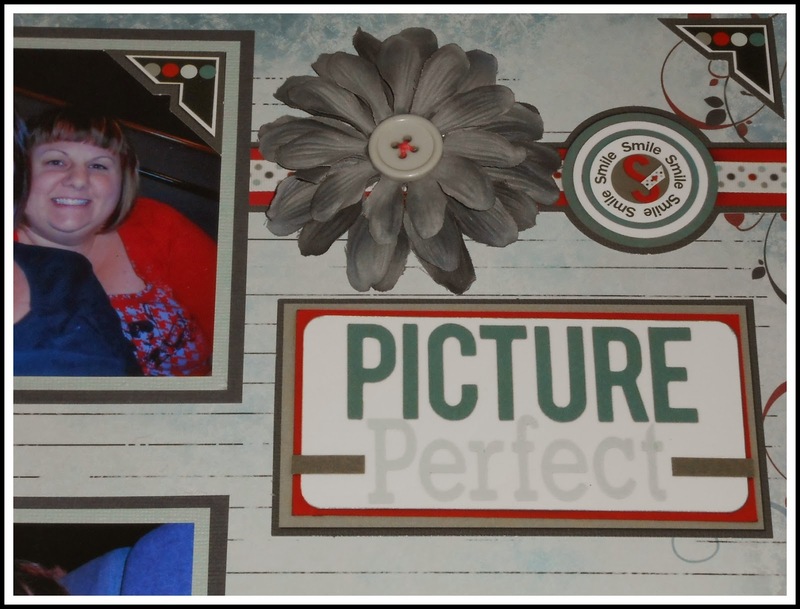 My project is a layout showcasing photos from our trip to the pumpkin patch in 2010. 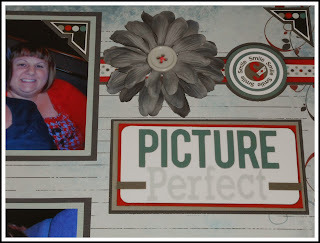 I just adore some of these pictures and really wanted them to be the focus of the layout. Of course a cute title and some adorable pumpkin SVGs by Miss Kate helped create the perfect setting for my photos. I added some green stickles to the die cuts to make them stand out. I also used Kiwi Land Design templates for the fun borders and added some buttons for some added color. I didn't mat my photos, I just cropped them and laid them out six across on the page and let the borders and embellishments go on top of them. 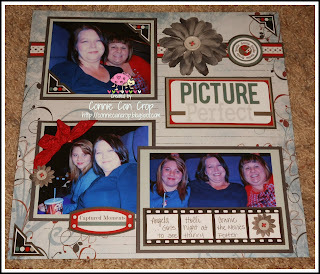 This was an easy way to get tons of pics on a two page layout. 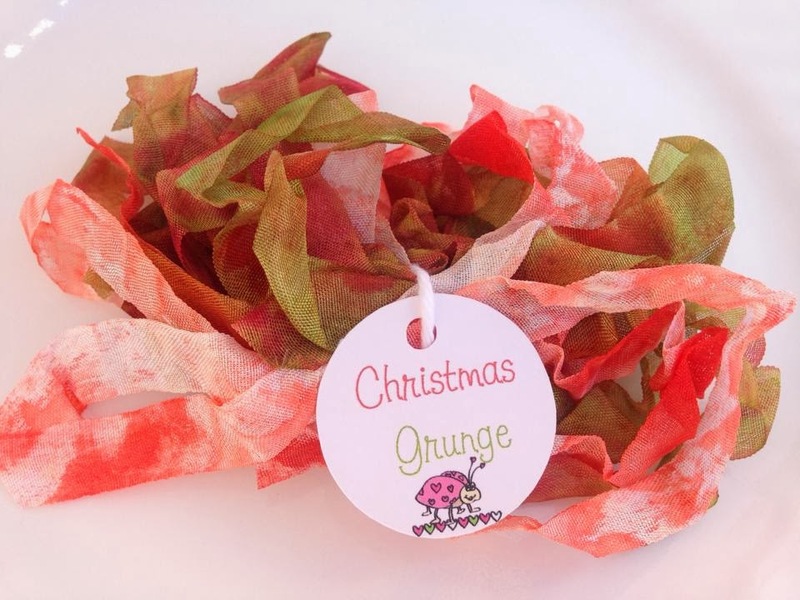 I am also giving away some yummy rumple ribbon!! 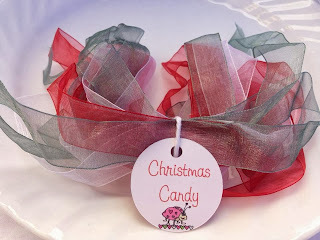 So be sure to leave me a comment below for chance to win my blog candy!! 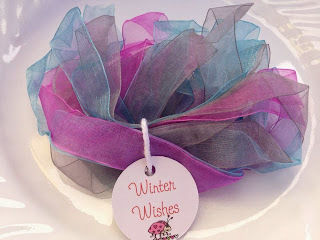 You could win a prize pack from Angela Holt Designs!! How exciting to be a part of their one year birthday!! 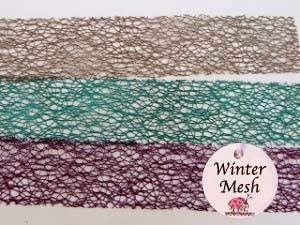 all your favorite colors of Mama's Mesh, Rumple Ribbon and even the NEW Sheer Ribbons!! Connie here with a new layout to share!! I am finally getting caught up on my layouts for 2010. Here is one for Christmas featuring fabulous Rumple Ribbon in Simply White. I used the Rumple Ribbon as a border around the middle two photos to help offset them from the red background and added some red brads poked right through the ribbon for some added fun. Connie here with a project I can't wait to share!! A few years ago I purchased this wooden cross from Michael's with the intent of altering it to go in my office. I have a cross in every room of my house and so my office/crop room should be no different. I spray painted it brown and never touched it again. That is until this week!! Using some silk flowers, bling and vinyl from my stash I transformed this cross in to something gorgeous. The word Faith is from the Cricut Cart Inspired Heart. Of course I added all three patterns of Wild Thang Rumple Ribbon to the cross. I just love what it adds!! If you have seen my office, you know my theme is Wild (Safari). So how perfect is this? Sorry ladies!! I know you are all dying to find out who the winner of this fantastic hop is!!
" You did a great Job on your wall hanging!! I love it. Thanks for hosting!! I followed the rules." Thanks again to all the lovely ladies that hopped along with us!! 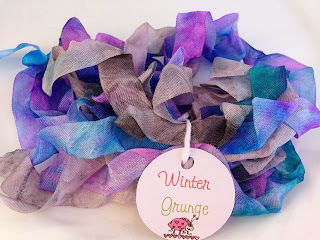 It's my first post on Wednesdays here at LBC featuring Rumple Ribbon!! I am so excited!! Who loves this ribbon? I DO!!! Today I created a simple one page layout and used Simply Red Rumple Ribbon to help accent on of the corners of a photo. This photo had a red light in the background and a lot of empty black space so a pretty red bow was the perfect touch!! I just wanted to show off this really pretty flower too!! It's Winner time!! Time to announce my big winner for the October monthly Challenge!! Special thanks to all the amazing ladies that entered this month! Your Metal Embellies rocked this month!! Thank you! Beth, Your card is precious!! Congrats! Connie here wishing you a happy Tuesday!! I wanted to fill you in on a few changes going on in my life and my blog. Just in case you noticed and are wondering what's going on!! 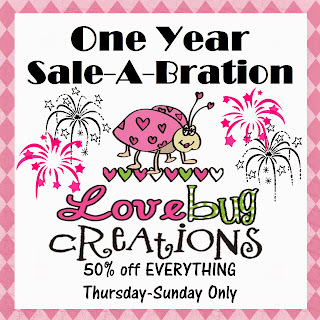 The good news is I will now be posting on Wednesdays for LoveBug Creations. 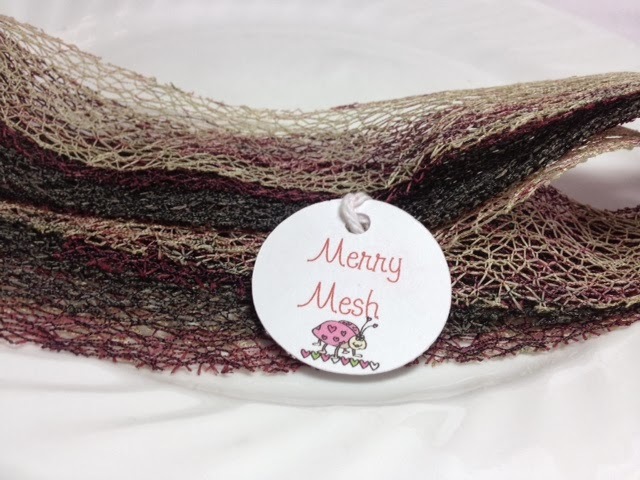 We are mixing things up a bit and I get to work with Rumple Ribbon now instead of Mama's Mesh. But don't worry..you'll still get to see me play with it from time to time because I love that stuff!! So starting tomorrow be on the lookout for my new Wednesday posts. Now for the bummer news. I don't want to call it bad because honestly it was never a bad thing!! I decided that due to school kicking my bootie I need to cut back a bit on my Design Teams. It was either that or stop hosting so many blog hops and the monthly challenges. I LOVE hostessing hops and challenges!! So I sadly report that I have resigned from the FCCB DT. No more Challenge Me Monday posts from me. I love FCCB and the gals there so much and I am truly going to miss them. I hope to keep in touch through maybe playing along in the challenges from time to time. If I met you through FCCB I hope you will continue to stick around because I treasure you too!! And lastly Memory Works announced last week that they are closing their doors effective December 31st. So I will only be a consultant and have a website with them for 2 more months. I urge to take a peek and see if there is anything you want or need soon because I anticipate that they will be running out of items very quick. My new challenge is up! I already have 2 players!! Which rocks!!! So come on over and join in the fun!! This month's challenge is Leaf it up to me!! Happy Crafting and Scrappy Hugs!! It's November and time for a new Monthly challenge here at Connie Can Crop. I love the Fall more than any other season. The colors, the smells, and the weather all make me happy. To really see the changing of the leaves I must take a drive up to the Mountains. We just don't have that many where I live. So those gorgeous fall leaves are my inspiration for this month's challenge. I want you to create a project featuring fall leaves! This way I can enjoy their beauty!! Please create one layout, card, or other project. Your layout can be single page or double page. You may use any other products you wish. Just be sure that fall leaves are on your project. When you are finished with your project please post it here in this thread. Entries are due by Saturday, November 30th at 11:59 pm. You need to link your project up below using Mr. Linky. You have until midnight November 30th to link it up. 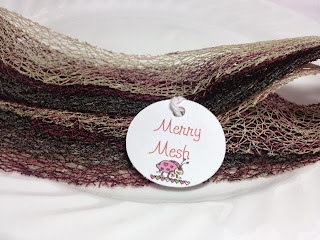 Hello Every Buggie and Welcome to the…… Have Yourself A Meshy Rumple Christmas Blog Hop! LoveBug Creations is pleased to showcase our 2013 Christmas release products today by way of this hop. Our CT has worked timelessly to design some stunning projects with these new ribbons. It’s our hope that we will inspire you to create your own “meshy rumple” delights to brighten the lives of those you love. Here’s a peek at what we have in store for you today. All of the new Christmas ribbons are joining our other rumple ribbon and mesh collections today in the online LBC Store! So settle back and enjoy the parade of colors just perfect for your Christmas season projects with the LBC line-up. featuring the NEW Simply Sheer Winter Wishes Ribbon in Blue. I love this ribbon!! It is gorgeous!! The paper collection I used is My Mind's Eye. I also used American Crafts Cardstock. The borders were cut with Kiwi Lane Designs Templates and the ornaments with my Cricut. Notice the LBC Sheer Ribbon on my ornaments!! 3. Easy instructions – so what are you waiting for?? AND for the first 25 people who shop this weekend and spend $25 or more, you’ll receive an extra special surprise – FREE 2 yards of a delicious grunge rumple ribbon color called Golden Licorice – it’s a super surprise from us to our wonderful customers!! Thank you so much and hope you have a Meshy Rumple Christmas! The next festive blog spot is Christine.